Arteries stiffen as a consequence of age and atherosclerosis. The two leading causes of death in the developed world, myocardial infarction and stroke, are both a direct consequence of atherosclerosis. Increased arterial stiffness is associated with an increased risk of cardiovascular events. Exposure to certain chemicals such as phthalates, parabens or Bisphenol A could be associated with a decrease in blood pressure during pregnancy. Imec have developed a prototype medical device based on silicon photonics for the screening of arterial stiffness and cardiovascular diseases. The release of "danger" molecules in response to significant periods of mental stress early in life may leave young people at lifelong risk of cardiovascular disease, scientists report. In direct contradiction to marketing efforts claiming that hookah smoking is less hazardous to health than cigarettes, a new UCLA study published in the American Journal of Cardiology found that just a half-hour of hookah smoking resulted in the development of cardiovascular risk factors similar to what has been seen with traditional cigarette smoking. Arteries such as the aorta actively transport oxygenated blood, nutrients and cells throughout the body to keep our tissues functioning normally. 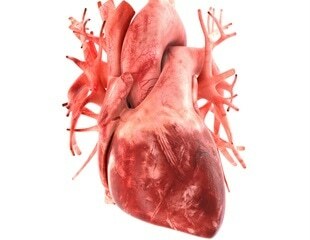 Damage to the arteries can result in life-threatening cardiovascular diseases. The usage of e-cigarettes containing nicotine has a significant impact on vascular functions claims new study. Arterial stiffness is one of the early signs of cardiovascular disease, and arterial stiffening has been observed in children. Nanyang Technological University, Singapore has launched a suite of new research centres and laboratories to advance the prevention and treatment of the most pressing diseases affecting Singaporeans. Participating in exercise 4-5 days per week is necessary to keep your heart young, according to new research published in The Journal of Physiology. Researchers have discovered that the microbiome heavily influences hardening of the arteries (atherosclerosis), a known risk factor for cardiovascular disease. Heart disease is the leading cause of death for both men and women, according to the Centers for Disease Control and Prevention. In the U.S., one in every four deaths is a result of heart disease, which includes a range of conditions from arrhythmias, or abnormal heart rhythms, to defects, as well as blood vessel diseases, more commonly known as cardiovascular diseases. Minoxidil, a popular drug used on the scalp to treat hair loss, might improve blood flow to the brain, lower blood pressure and increase elasticity in the blood vessels if taken in an oral form, according to a new study in mice.